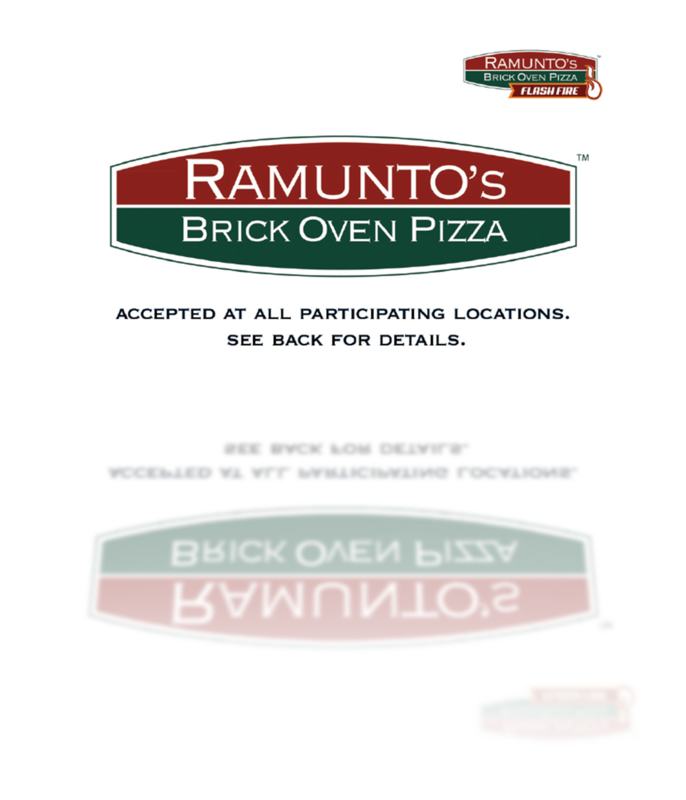 * Online purchase of Ramunto’s gift cards is not currently available. The Ramunto's Brick Oven Franchise would like to give a warm welcome to the newest location in our franchise, Bennngton! Congratulations Matt Willey, Patrick Willey, Kenny Buchanan and Corey Mears on being the new owners of this franchise.